Travel through Georgia with what is left of the human population. 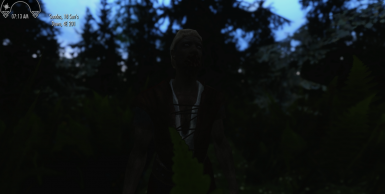 I've always wanted to play a zombie survival game with the actual Walking Dead charaters in it. I thougt Survival Instinct would do the job, but lets face it, Survival instinct sucked. But it had potential. 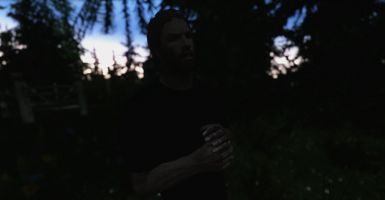 I have a lot of plans for this mod, like eventually you will meet up with the whole group, and you can do some quests, like going out and getting supplies and stuff, maybe even look for new members. At the current stage, the only part of Georgia is where Daryl lives. To get to Georgia you click the gun behind the carriage in Whiterun. When you arrive at Georgia, there will be a whole lot of Walkers there attacking Daryl and his friend Jess. They will be running around and eating dead people too..
You will see Daryls hut, go there and look for a note. Daryl will be your first survivor friend (follower) and he will behave like any other follower. All the followers are going to voice acted at some point.